Cuban American artist Luis Cruz Azaceta addresses what author Alejandro Anreus calls the “wounds and screams” of the human condition. Although Cruz Azaceta’s work is widely shown and widely collected, this is the first book-length monograph on the artist’s life and work. Anreus traces Cruz Azaceta’s career and explores the themes that are the focus of his singular art. Anreus assesses how the Cuban diaspora, above all, has shaped the artist and how the experience of exile has found expression through starkly forceful self-portraiture in many of his works. Anreus also discusses the artist’s ongoing concern with current events. Cruz Azaceta has responded to national crises, such as the AIDS epidemic, the Oklahoma City bombing, and the devastation of New Orleans by Hurricane Katrina, with graphically powerful paintings, mixed-media pieces, and installations. Over the past four decades Cruz Azaceta has experimented with his visual vocabulary, moving from the flat, pop style of his early canvases, through neo-expressionism, and into the abstraction of current work. His commentary on humanity, however, has not changed. His art continues to remind us that there are no easy solutions to the presence of violence and cruelty, exile and dislocation, and solitude and isolation. 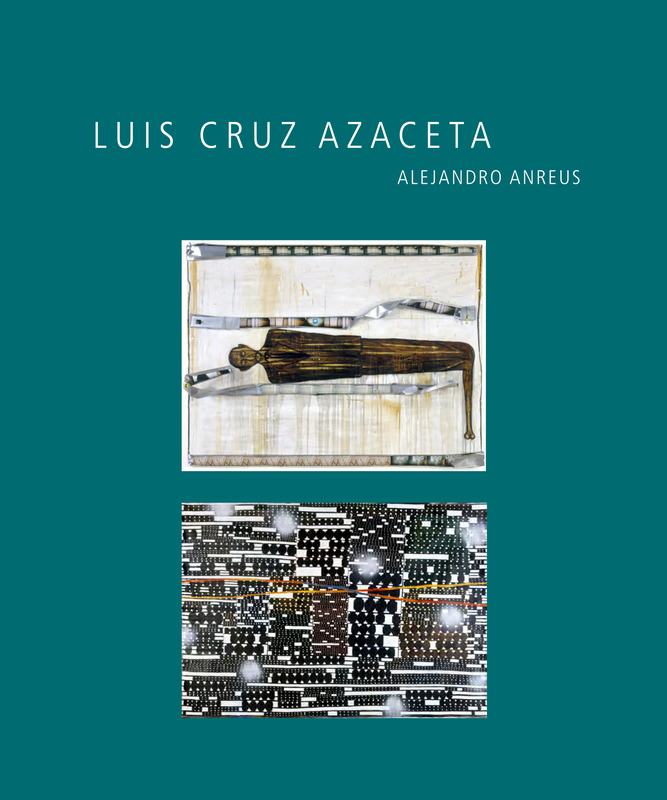 "Luis Cruz Azaceta offers a compelling historical overview of an artist notable for his artistic engagement with political and social justice movements and the manner in which world events and particular geographical locations have shaped his work. Author Alejandro Anreus finds a profound concern with humanism and exile expressed through a distinct approach, or what he calls a “sober reckoning”: an eclectic aesthetic repertoire, brutal and visceral representations, and parody that embraces hope." — Claire F. Fox, author of "Making Art Panamerican: Cultural Policy and the Cold War"
"Written clearly and with conviction, Luis Cruz Azaceta is the definitive publication on the artist and should remain an important reference for years to come. Beautifully illustrated, the book is suitable for a range of readers, from students to specialists in the field, and it adds substantially to the undersized but growing literature on Latino art."